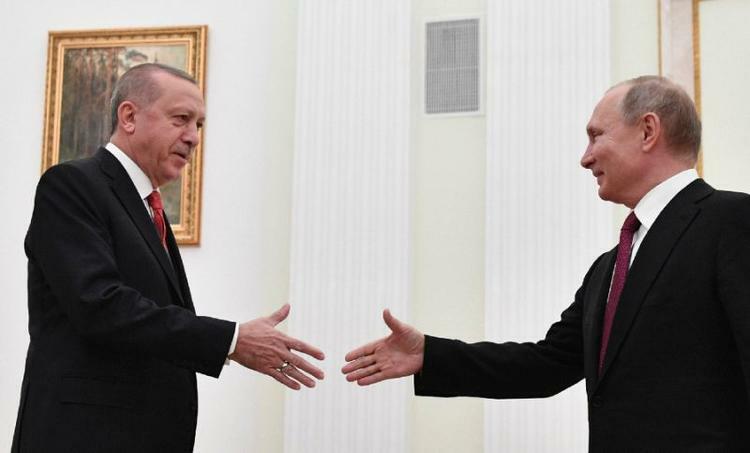 Moscow (AFP) – Russian President Vladimir Putin and his Turkish counterpart Recep Tayyip Erdogan at a meeting in Moscow on Wednesday vowed to coordinate their actions more closely in Syria. “We agreed how we’ll coordinate our work in the near future,” Putin said, calling the talks which included the countries’ defence ministers “effective”. Erdogan used the same term for Putin and said “our solidarity makes a weighty contribution to the security of the region”. Putin said Wednesday that Russia supports “establishing dialogue between Damascus officials and representatives of the Kurds”. But after a reconciliation deal in 2016, relations have recovered at a remarkable speed with Putin and Erdogan cooperating closely over Syria, Turkey buying Russian-made air defence systems and Russia building Turkey’s first nuclear power plant.